On a remote highway in Pakistan, the sandy roadside reverberates with the sound of a sudden gunshot. A lone film crew instinctively hits the ground. As they scramble to their feet, dusting off their western attire, they notice one member of their troupe remains on the roadside, holding his stomach. Elsewhere, Roshan Khan and his son Sheikhu make their way across Pakistan making a routine delivery. From the moment the golden shell tore into British documentary filmmaker Shahid Elahi, a chain of International events were initiated. 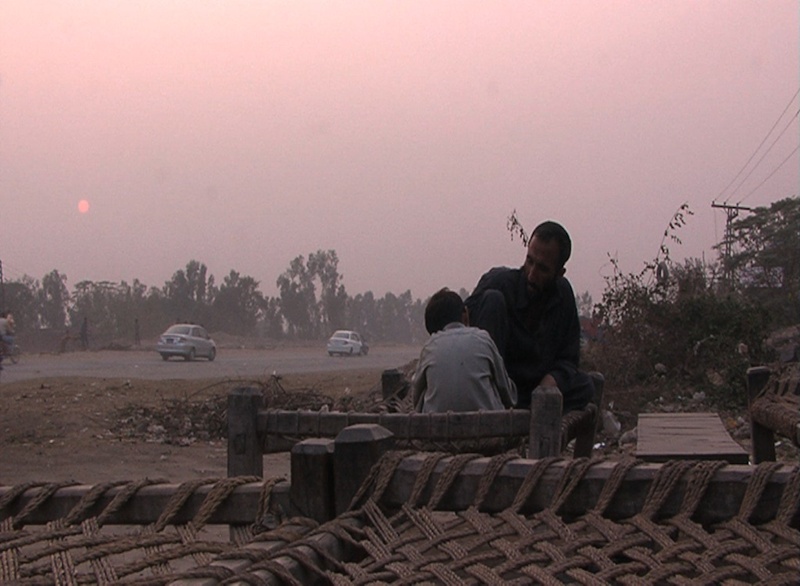 A topical short film, shot in a fast-moving documentary news style, which grips its audience from the outset, while managing to span three continents, uncovering the human story that lies behind what seems to be a routine news event; the death by roadside shooting of a British documentary filmmaker in Pakistan. A simple yet dramatic tragic outcome, but the film’s narrative uses media output imaginatively to tell the story in news terms, giving impact and urgency, while at the same time uncovering the human tragedies that collide at this same point in place and time. Checkpost is a thought-provoking short film, a commentary on our news values and style while underlining how relatively cheap human life can be, challenging us to decide which is the more important?